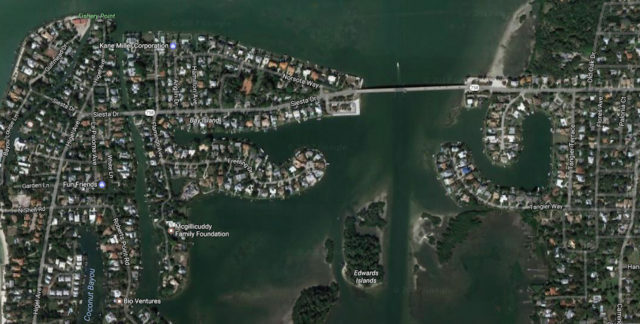 She was referring to the closure of one lane on Siesta Drive just east of the north bridge to Siesta Key. Sarasota County Commissioner Alan Maio — the speaker for the SKCC session — told her that he was among those stopped in traffic “for a very long time” that afternoon. Finally, he said, he was able to spot the electronic sign warning drivers that the project would begin that day and continue through March 1. “I just think they got to be a little,” he started and then paused. “It’s called ‘maintenance of traffic,’” he added. The contractor needed to be doing a better job of alternating the traffic flow, so no line grew too long. “I think they don’t want people stacked up, sitting on top of the bridge,” Maio pointed out. Other attendees talked of waiting up to an hour in their vehicles, trying to get on and off the island that day. A Sarasota News Leader reporter headed onto the Key saw eastbound traffic backed up as far as Faubel Street, about a block south of the curve where Siesta Drive becomes Higel Avenue. Jan Thornburg, the City of Sarasota’s senior communications manager, was out of the office until Jan. 23, the News Leader learned. 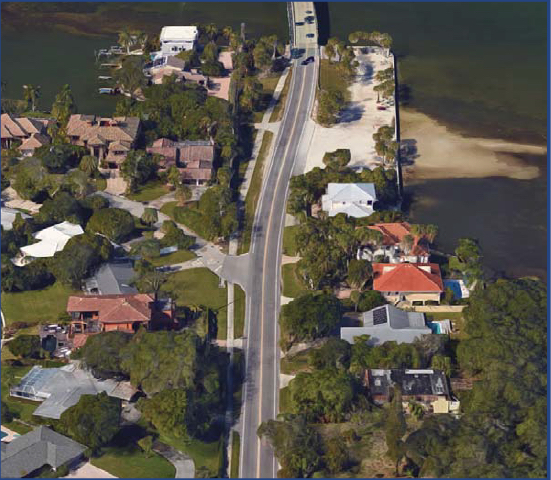 Kathy King, assistant to City Manager Tom Barwin, told the News Leader on Jan. 18 that city staff had received a few calls about the traffic situation on Siesta Drive. 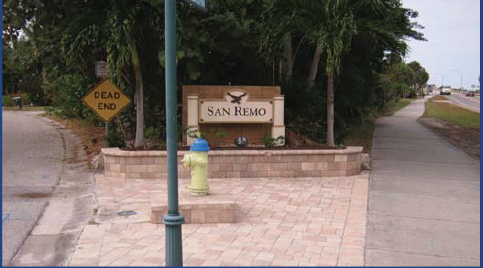 When an audience member at the Jan. 17 SKCC meeting asked whether anyone knew exactly what was going on, Catherine Luckner, vice president of the Siesta Key Association, replied that she understood the City of Sarasota was engaged in a utilities project at the same time the Florida Department of Transportation (FDOT) had begun a drainage project at the San Remo Terrace intersection on Siesta Drive. Construction also is underway on a new home in the same general area, she noted. In response to questions from Siesta leaders, Brian Bollas of HNTB Corporation, acting as a public information consultant for FDOT, explained in a Jan. 18 email that City of Sarasota utility work had to be completed prior to the start of the FDOT drainage project. 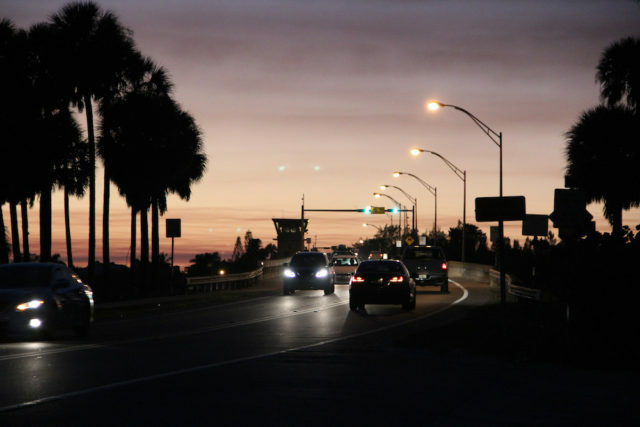 In that event, Crumpton continued, the contractor — Spectrum, of Sarasota — would have to provide 48 hours of advance notice regarding when any further lane closures would be in effect. The start of the FDOT project has been pushed back to Feb. 6, Bollas added in his email. The plan calls for the state’s contractor to close a traffic lane only at night, between 8 p.m. and 7 a.m.
Crumpton reported to the News Leader that the city had “just a few weeks” of notice about the need to go ahead and put a contractor to work on its undertaking. FDOT staff asked city staff to move city utilities out of the way because the lines were in conflict with the state plans for the drainage project, Stublen added. “Our lines were doing just fine out there,” Crumpton told the News Leader. 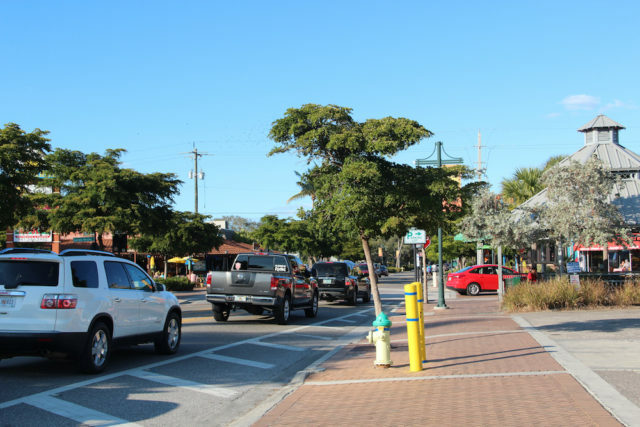 Because of the size of the utility lines involved, Crumpton pointed out, city staff wanted to be absolutely certain that no last-minute changes in FDOT’s plans would be forthcoming. “We didn’t want to go in and do the work twice.” Therefore, he said, the city “couldn’t do the work in advance,” out of season.